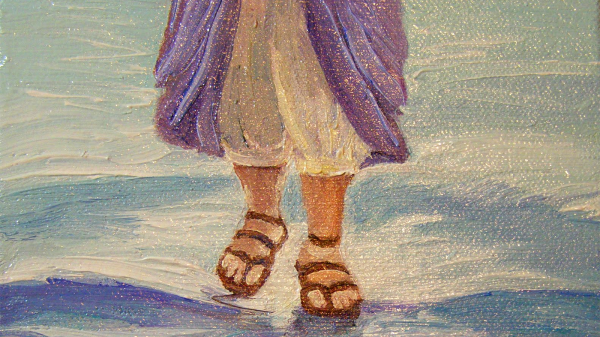 This morning we read the Gospel account of Peter walking on water at the Lord’s command (Mt 14:22-34). Have you ever noticed? Christ goes around the New Testament making impossible commands. Here and now Christ commands the impossible: Forgive that person. Get up and go to that painful job again today, practicing gratefulness and refusing bitterness, and be light and salt. Love your wife sacrificially, submit to your husband. Pour out mercy on that hateful person, do good to them and pray with genuine warmth of love for those who hate you. And Christ faithfully provides the power to do the impossible in response to our little Yes.